Pictured are my new Let The Dogs Out identity tags. All my clients will receive a complementary tag for each of their dogs. 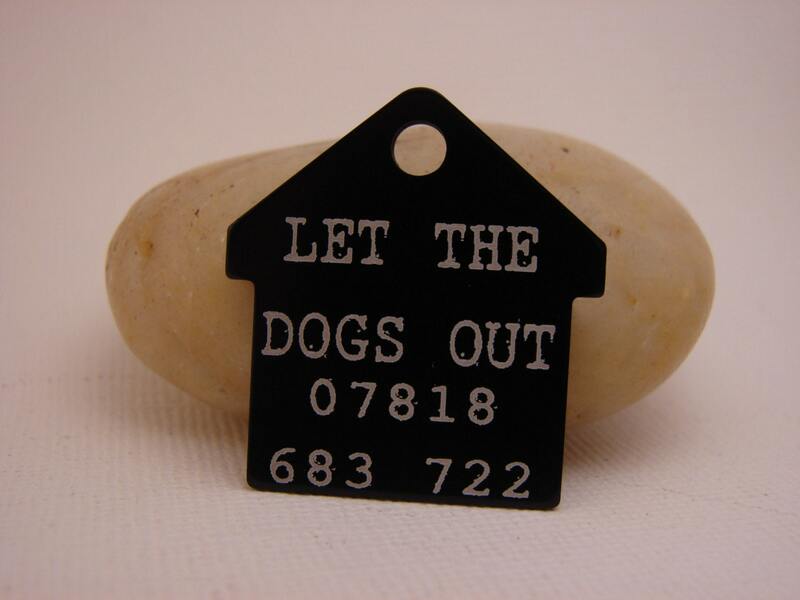 The tags are engraved with my mobile number & should be worn whenever dogs are in my care. They fasten easily onto any dog’s collar & can be removed in between times if you wish. Thank you to Angie of Remember Wynn for creating these custom tags for me.